Can new payment model boost number of physicians willing to treat opioid patients? Historically, clinicians have steered clear of becoming certified to treat patients with substance abuse disorders or expanding that patient base because they don't get paid enough to do so or struggle with prior authorization to get reimbursed. A new payment model recently introduced by two leading medical associations aims to increase the number of providers who treat opioid-addicted patients with medication-assisted therapies. The American Medical Association and the American Society of Addiction Medicine think clinicians should receive an upfront, one-time fee to cover the cost of evaluating, diagnosing and planning treatment for a patient, as well as a month of outpatient medication-assisted treatment. Subsequent monthly payments would be made for continued medication, psychological care and social services. "The current physician reimbursement structure does not account for all the services that patients with an opioid use disorder need to progress to successful treatment and recovery," Dr. Shawn Ryan, chair of the AMA-ASAM Alternative Payment Model Working Group, said in a written statement. "While we know that a combination of medication and psychosocial support systems is the evidence-based standard for treatment, we continue to find that patients are not able to access treatment due to limited or non-existent insurance coverage." Dr. Patricia Harris, chair of the AMA's Opioid Task Force, hopes the idea will expand use of medication-assisted treatment during a growing drug misuse epidemic. More than 63,000 Americans died from opioid addiction-related causes in 2016 alone. There have been recent federal efforts to get medication-assisted treatment into the hands of more patients. In 2016, the Substance Abuse and Mental Health Services Administration started allowing clinicians to expand the number of patients treated with buprenorphine from 100 to 275 for each clinician. President Barack Obama that year signed the Comprehensive Addiction and Recovery Act, which allowed nurse practitioners and physician assistants to prescribe buprenorphine to up to 30 patients a year. 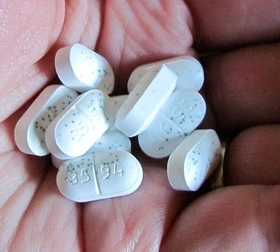 Currently, more than 48,000 clinicians in the U.S. are certified to prescribe buprenorphine, according to SAMHSA, with the vast majority (72%) authorized to prescribe the medication to as many as 30 patients. If all those prescribers were to administer the drug to the maximum number of patients allowed, more than 3.1 million people would be treated. That still would treat only a sliver of those who need it. SAMHSA estimates that number at 20.4 million adults in 2014, which wasn't even the peak time for overdose deaths. Under the model endorsed by the AMA and ASAM, patients would receive either buprenorphine or naltrexone on an outpatient basis. They would receive psychological or counseling therapy services as well as care coordination to provide social support or other medical services as needed. A physician would qualify to receive payment if they were part of an opioid addiction treatment team that was contracted to deliver all three services. Teams would consist of a physician or healthcare professional certified to prescribe medication-assisted therapies, a psychologist, counselor or therapist, and a nurse or social worker with experience in helping opioid use disorder patients receive social service resources. Under the model, a patient taken to the emergency department for a drug overdose could then be referred to a physician practice, organization or unit inside the same hospital where they could be assessed and then put on a treatment plan. Currently, many patients who go to the ED for an overdose end up waiting in a hospital detox unit to stabilize while the provider seeks to refer them to an outside treatment facility. If there are no treatment facilities available, a hospital has few other options but to discharge the patient. Dr. Henry Dorkin, president of the Massachusetts Medical Society, believes getting more primary-care physicians to treat substance use disorder would go far in addressing the shortage of addiction specialists. 'The treatment of patients with opioid addiction takes time," Dorkin said. "I believe there are tenets in this model which support the quality of the outcome and the amount of time that the physician needs to spend with them." Harris said the AMA and ASAM plan to solicit feedback about the plan with the hope of turning it into a pilot program. John Feore, a director at consultancy Avalere Health, said the model targets providers' main problem with treating patients for substance use. "I think it recognizes that the particular needs of this type of patient population can't really be satisfied under a traditional fee-for-service model," he said. "Basically it tries to bundle all of the various components that are recognized as essential for treating this patient population." He thinks because the model approaches payment in a "payer-neutral way," it could be tested by either private or public plans. One big selling point, Dorkin said, was the potential for this plan to reduce long-term healthcare costs. Patients with substance use disorder are more likely to develop a number of chronic diseases, including arthritis, asthma, chronic kidney disease, chronic obstructive pulmonary disease, congestive heart failure, HIV, hepatitis and stroke, according to the National Institutes of Health's National Institute on Drug Abuse. "This might very well turn into a cost-saver for the third-party payer because they would then not have to cover the cost of all of these other co-morbidities," Dorkin said.